Further on the subject of the property values of places where people died, which was started in the comments section of the previous post, there was actually a book titled “Tokyo Laundering” published last year about a fictional occupation: people who are hired by landlords or realtors to live for one month in houses or apartments where people just died. By having somebody occupy the place legally, the owner can rent or sell the property at its listed value rather than the cut-rate price that most owners are compelled to advertise for such a property since, according to law, they have to tell prospective buyers/renters that a person died there. If someone lives there for a month, they’re no longer obliged to reveal that information. It’s such a clever subterfuge, we’re surprised no one has actually put it into practice. As far as we know, the only outfit that openly advertises such properties is UR, which lists rental apartments where people have died for something like half the normal price for up to two years. Supposedly, within their system 300 units become vacant each year because someone died. We’ve also heard of realtors soliciting doctors, people in the funeral business, and foreigners for such properties since such people usually aren’t grossed out by the idea of someone having died in the place they just moved into. There’s also a website that lists properties where “incidents” occurred, and though they detail the incident that took place (with the help of inadvertently humorous illustrations) and even show you the location on a map, you’ll need to do a bit of detective work to find out about renting or buying, since all they give as contact is the name of the realtor or owner. It’s a great site, however, for those into ghoulish walking tours. And lastly, some insurance companies offer coverage to landlords for apartment deaths. 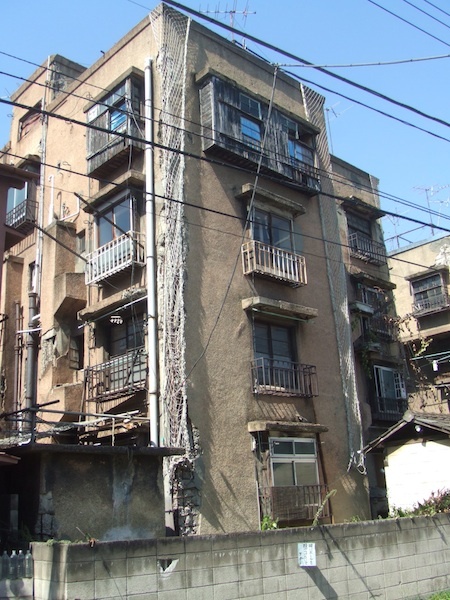 If a tenant dies in one of their properties, they can receive up to ¥1 million, which should cover the money lost as a result of an extended vacancy or decreased rent. You are citing a wrong website. It should be: http://www.oshimaland.co.jp, the pioneer site in this field.